I have never been a fan of buttered noodles, maybe it is because I found them a little boring, they don’t have enough flavor for me. On the other hand Mike loves butter noodles, in fact he just loves noodles, it doesn’t matter if they have butter, sauce, or they’re just plain. I was looking through my Joy of Cooking cookbook at all of the noodle recipes and ways to dress them up, so that got me thinking that this may be a way that I could enjoy some buttered noodles. Plus the fact that we have basil growing in the garden and I have been waiting for a chance to use it. I have to admit that I actually enjoyed buttered noodles this time around, with the additional flavors. I did add onion and garlic along with the butter and basil. I think I will be serving buttered noodles more often. 1.Cook noodles according the directions on the box. 2. While the pasta is cooking melt butter in a medium skillet. 3. Add the onion, garlic, and basil and cook over medium heat until the onions and garlic are tender. 4. Once the noodles are cooked drain throughly. 5 Place noodles in the skillet and toss with the butter and vegetables and basil. 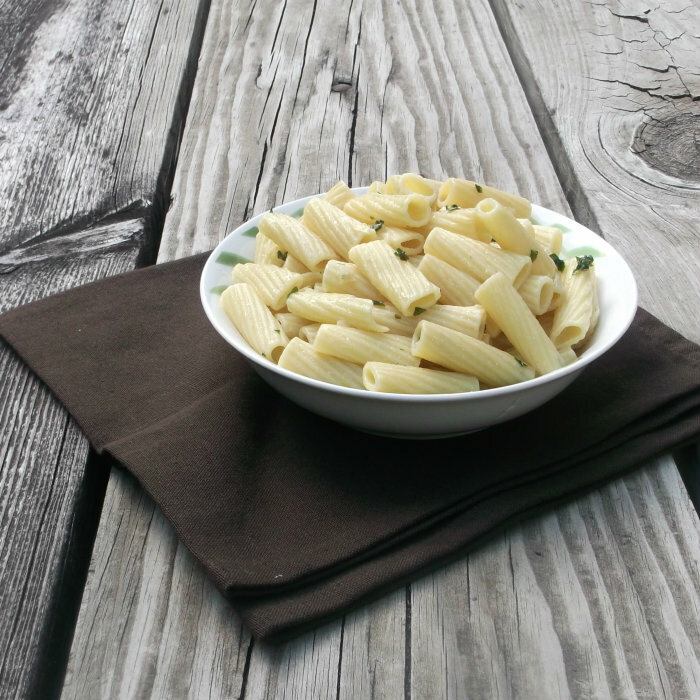 Sometimes buttered noodles are the perfect side dish. Adding onion, garlic, and fresh herbs is a great idea. I think buttered noodles are boring too. But the way you dressed them up sounds interesting. I’ll be trying this one and I bet my boys will like them. 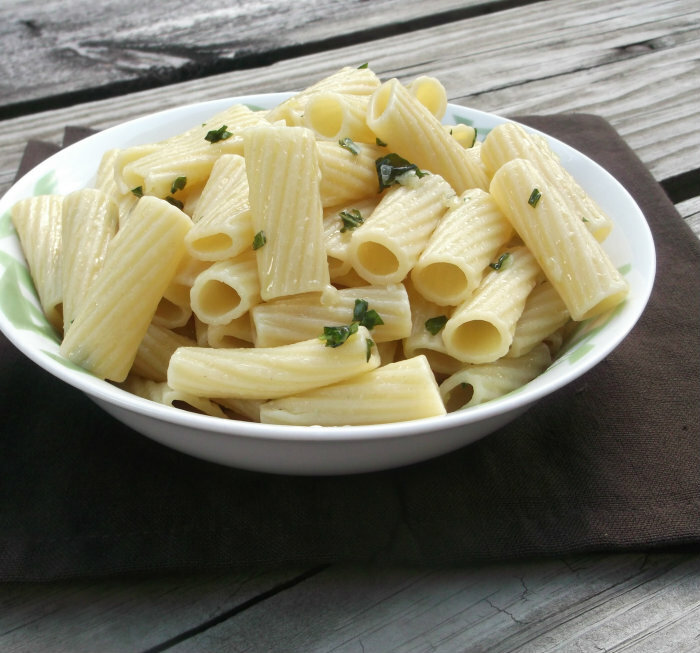 I have never heard of butter noodles but it sounds delicious and so simple! 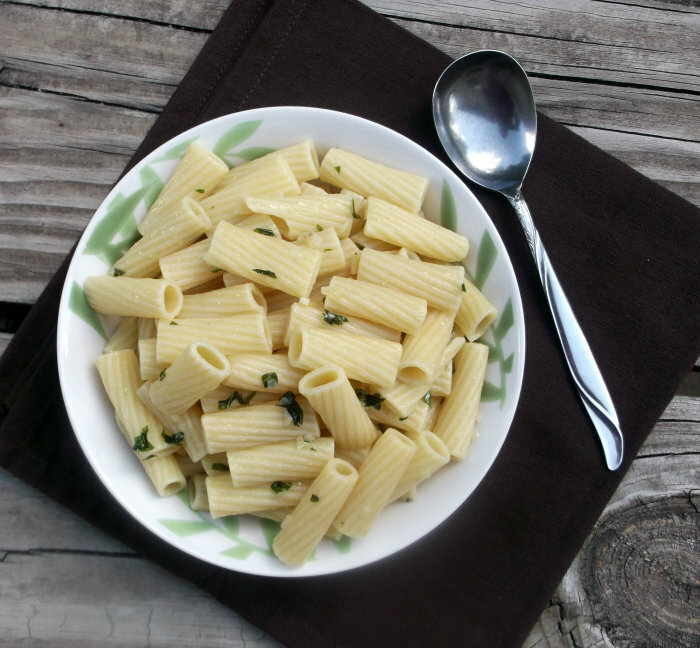 I’m with you on buttered noodles being a bit boring, but try mixing in a bunch of Parmesan cheese – it’s a classic Italian dish that’s quite good. Anyway, like how you jazzed up this dish. Thanks for the great idea, Dawn! I’m always looking for some starch to fill up the hubby and my youngest…and I tire of potatoes and rice. I feel the same way about buttered noodles, but adding a few simple ingredients makes them a worthy side!